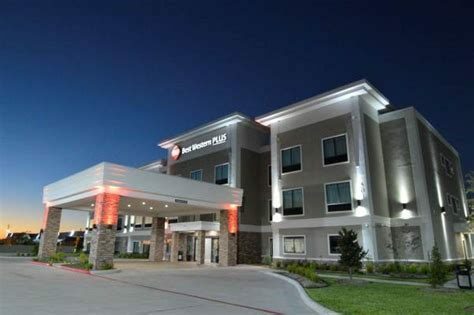 Located on the east side of Bay City, Best Western Plus is the newest addition to our town. Only two doors down from the Bay City Civic Center and across the street from the Matagorda Regional Medical Center and Bay City High School. Dairy Queen within walking distance. State of the art Tesla Charging Station. Business center, meeting room, beautiful breakfast dining area and buffet, outdoor pool, fitness center and comfortable beds are just a few reasons why Best Western Plus is the best choice in hotels.